Bone-in whole ribeyes (aka export ribs) are the full (lip-on) muscle that ribeye steaks are cut from. The included rib bones give the cut structure, a striking presentation, and are believed to provide additional flavor. 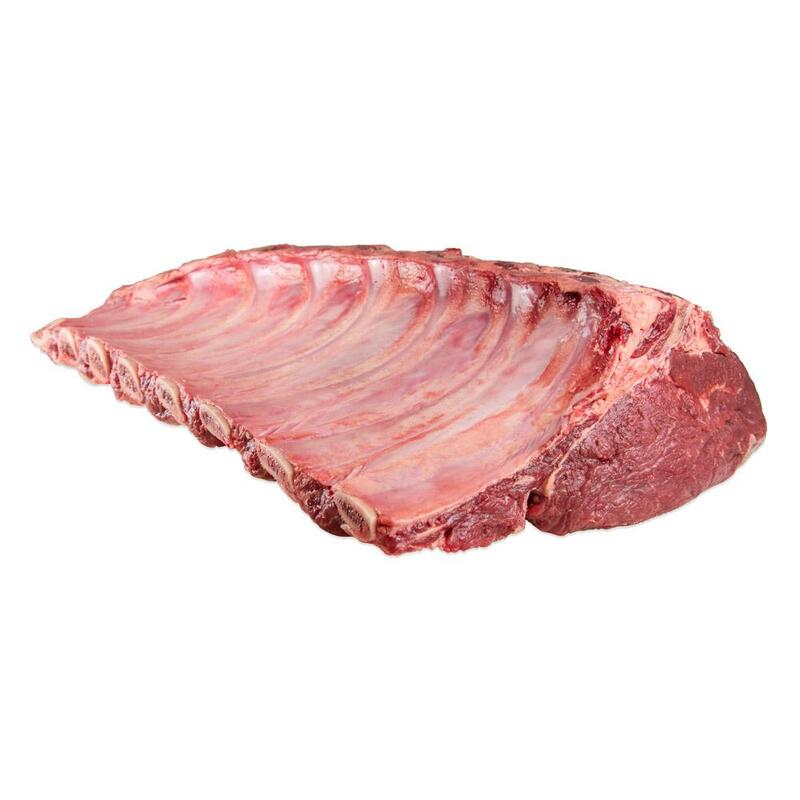 These ribeyes have been processed so that they can be roasted whole as a standing rib roast or easily sliced into individual ribeye steaks. Ribeye steaks and roasts have an excellent, boldly beefy flavor that makes them in high demand at top steak houses. No fancy sauces are necessary – some salt and a few grinds of pepper are all a ribeye needs to shine. Store fresh bone-in ribeyes in your refrigerator. For long term storage you can freeze them, either as whole roasts or sliced into individual chops. Frozen bone-in ribeyes should be kept in the freezer until you need them, then thawed before cooking. 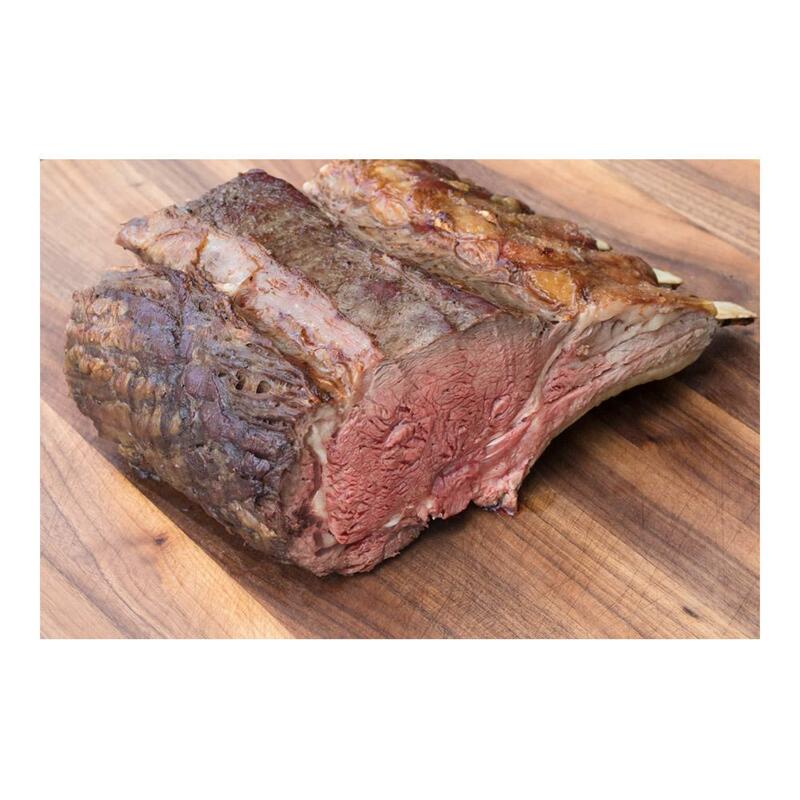 Bone-in ribeye rolls can be roasted whole as standing rib roasts or sliced into individual bone-in ribeye steaks (of course, these steaks can also be deboned). For an even more fancy presentation, you can cut off the lip meat above the bones on one side, trim out the meat between each pair of bones, and then French the bones. If you want to keep the bones white while the ribeye is in the oven, wrap each of them in aluminum foil before roasting. After roasting, let the roast rest for 15-20 minutes, loosely covered with foil, before slicing. This will help keep the flavorful juices inside the meat.